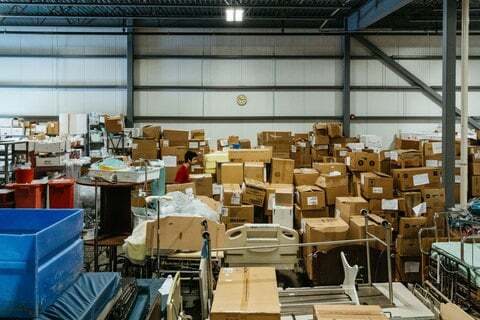 Just outside Portland, Maine, there’s a 15,000-square-foot warehouse that’s packed with reasons the U.S. health care system costs so much: Shelves climb floor to ceiling, stacked with tubs overflowing with unopened packages of syringes, diabetes supplies and shiny surgical instruments that run hundreds of dollars apiece. 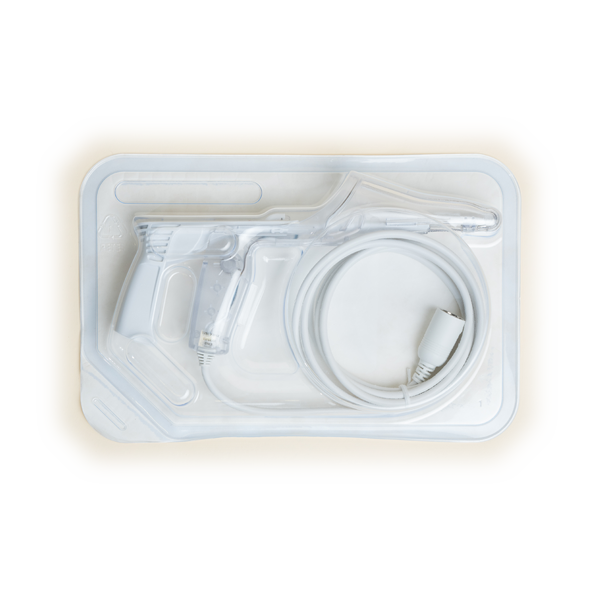 There are boxes of IV fluids and bags of ostomy supplies and kits with everything you’d need to perform an obstetrics surgery. Experts say the United States might be squandering a quarter of the money spent on health care. That’s an estimated $765 billion a year. Do you believe you’ve encountered this waste? Tell us here. This, however, isn’t a story of about the crippling price of medical supplies. 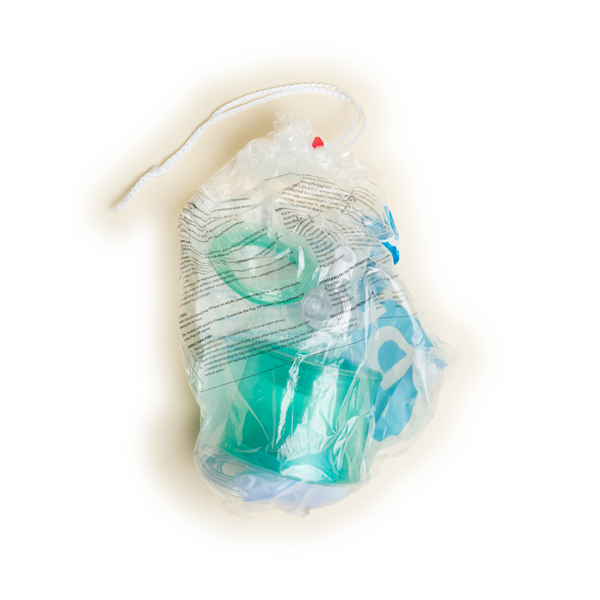 This is about the high cost of medical supplies that hospitals throw away. 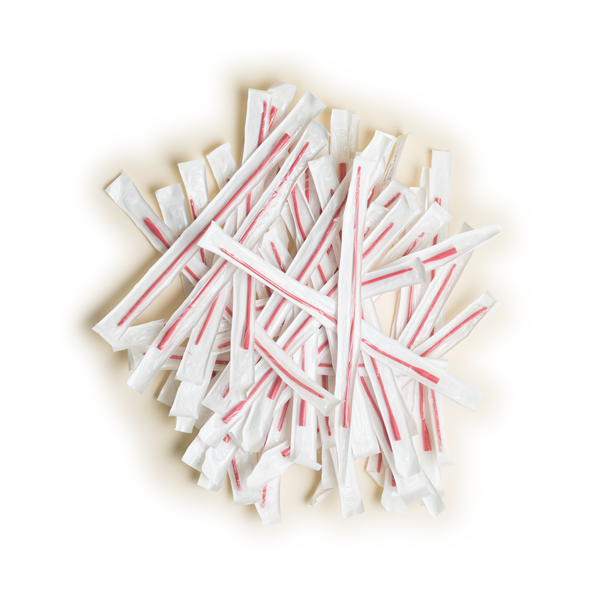 On a recent snowy day the warehouse’s 65-year-old proprietor, Elizabeth McLellan, gave an indignant accounting: She yanked a urinary catheter out of one bin. It’s unopened and has an expiration date of July 2018. “There’s no reason to get rid of this.” A box of 30 new feeding bags has an August 2019 expiration date. The same type sells on Amazon.com for $129. That surgical stapler? It’s unopened. The same model sells online for $189. And McLellan simply shook her head over a set of a dozen long thin laparoscopic surgery instruments that some hospital discarded. Similar used tools can go for hundreds of dollars. “There’s nothing wrong with these, nothing wrong with any of these,” she said. Ten years ago, McLellan, a registered nurse, shocked to see what hospitals were tossing out, began asking them to give her their castoffs instead. In 2009 she launched Partners for World Health, a nonprofit that now has four warehouses throughout Maine. Today, she and hundreds of volunteers collect medical equipment and supplies from a network of hospitals and medical clinics, sort them and eventually ship containers full of them to countries like Greece, Syria and Uganda. The vexing riddle of how to make health care more affordable has seldom been more front and center on the national stage. President Trump and Republican lawmakers are wrestling with the future of the Affordable Care Act, which has helped millions of people obtain health insurance. But most Americans would rather their legislators focus on bringing down health care costs, according to a recent survey by the Kaiser Family Foundation. Two-thirds of those surveyed said reducing such costs should be the “top” health care priority for Trump and the Republican-led Congress. Elizabeth McLellan started Partners for World Health when she worked as a nurse administrator and saw her hospital tossing out useful supplies. Talk to experts and many agree that waste would be a good place to start. In 2012 the National Academy of Medicine estimated the U.S. health care system squandered $765 billion a year, more than the entire budget of the Defense Department. Dr. Mark Smith, who chaired the committee that authored the report, said the waste is “crowding out” spending on critical infrastructure needs, like better roads and public transportation. The annual waste, the report estimated, could have paid for the insurance coverage of 150 million American workers — both the employer and employee contributions. “It’s unconscionable that we’re not only wasting money in health care but in doing so are sacrificing other important social needs,” Smith said. Smith’s committee blames the obvious villains — overtreatment, excess administrative costs and high prices — for most of the fat in the system. 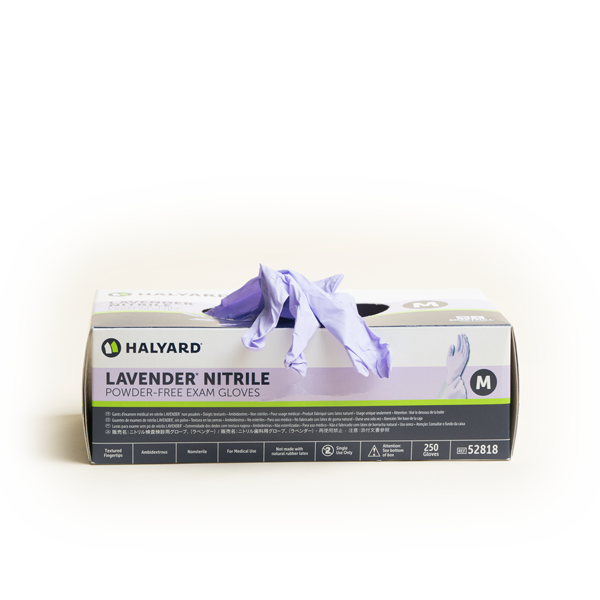 Left untallied, however, are the discards that arrive in waves into McLellan’s warehouses, most of which would otherwise end up in landfills. McLellan estimates the goods her group has right now are worth $20 million. Sure, that’s a rounding error in the overall waste tab, but it starts being real money if you add up the discards of all the nation’s medical facilities. Researchers at the University of California, San Francisco Medical Center, for instance, recently estimated that in a single year the hospital wasted $2.9 million in neurosurgery supplies alone. Nearly $3 million. On wasted supplies. In one department. Last year Partners sent seven containers overseas, each weighing up to 15,000 pounds and with an estimated value of up to $250,000. One is being sent to Syria this week. It includes an ultrasound machine ($25,000), a dozen trocars ($4,400) and an infant warmer ($3,995). The items below were photographed in a Partners for World Health warehouse outside Portland, Maine. 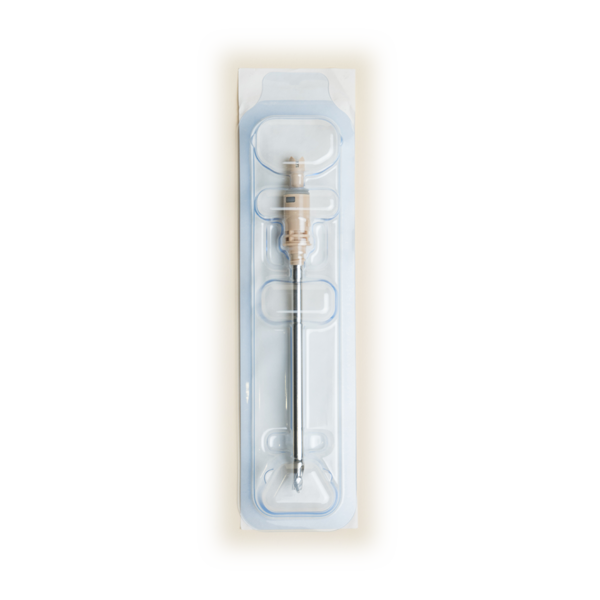 It’s not possible to provide an exact value for each item because health care facilities obtain them through a variety of purchasing arrangements, at varying prices. Some of the items are used, so the value is estimated. ProPublica found the same or similar items online to give an idea of their approximate value. There’s a display case in the Partners headquarters that sums up the heedless wealth of American health care. 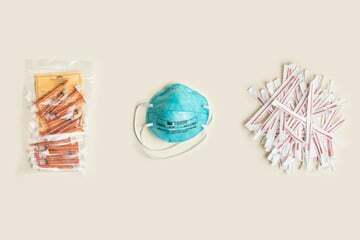 On one side are medical supplies McLellan brought home from Bangladesh: a yellowed plastic respirator mask, dirty tubing and a bloodstained square of gauze that’s brown and stiff from being washed and reused over and over again. Above them a sign reads, “Shared By Thousands.” On the other side are the same items, sterile and new, the discards of local health care facilities in the U.S.
McLellan once worked as a nurse in Saudi Arabia and her wardrobe reflects her extensive travels in the developing world: velveteen pants from China, a chunky sea rock necklace from Senegal and bangles from Ethiopia. Places that welcome our medical largesse. At the back of her office, she pushed through a set of swinging double doors that led to her disposable medical supplies warehouse, a room the size of a gymnasium, with 20-foot ceilings and glassy concrete floors. Donations from throughout Maine, Vermont and Massachusetts come in through a loading dock at the back. McLellan calls it “golden trash” and it generally falls into a handful of categories: equipment discarded for upgraded models, supplies tossed after a hospital changed vendors, or materials donated by the families of patients who have died. 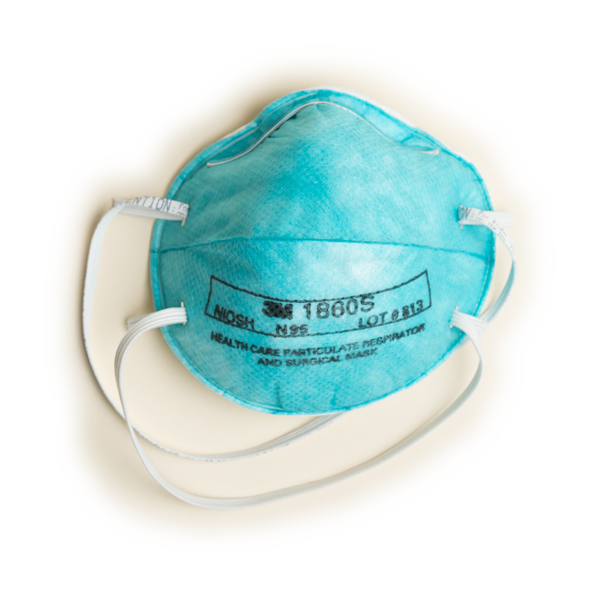 Other items are past their expiration dates or were swept out by strict infection control procedures, but remain safely usable. McLellan grabs a bag from a haphazard, 10-foot mound of boxes and bulging sacks waiting to be sorted. Its contents, she says, came from a single room in a hospital’s intensive care unit. She dumps the bag out onto a table like a kid pouring out a pillowcase full of Halloween candy. The stuff rains down into a pile that’s three square feet: Handfuls of unopened and unexpired sterile needles, two dozen sterile syringes, packets of alcohol and antiseptic pads, IV tubing; a roll of tape that’s never been used, a bag of IV solution that expires in September 2018, 14 saline flushes that expire in 2019, an unopened package of suction catheters and a pulse oximeter adapter. McLellan started her nonprofit after watching patient rooms being cleaned out at Maine Medical Center, where she was a nurse administrator. When patients were discharged, hospital staff threw out everything, including unopened supplies. McLellan got permission from the hospital’s CEO to put out bins to save the discarded items. A year and a half later, she’d gathered more than 11,000 pounds of supplies and equipment in her house. Today, Partners has three paid employees — McLellan is a volunteer — and an annual budget of $357,000, most of it from individual donations. Hundreds of volunteers pitch in. Similar nonprofits have sprung up around the country. On a recent afternoon, Donald Madison, 47, Paul Farren, 69, and William Silveira, 85, picked up a used anesthesia machine, an exam table and other items at a Maine Medical Center storage facility and brought them to a different Partners’ warehouse stuffed with medical hardware: a sea of new-looking wheelchairs, a shiny mountain of walkers and canes and neat rows of IV pumps. The biomedical equipment room has ultrasound machines, anesthesia machines, laparoscopic surgery towers and more. Biomedical engineers check out each piece before it is sent on to a country in need. And those pallets of adult diapers stacked high on a shelf? He sells the same type at his pharmacy for $11.99 per package or more. Farren recalled one time they picked up about 100 unopened packages of diapers from the home of a patient who had died. “It was ridiculous,” he said. McLellan is sensitive about the built-in tension of her mission. 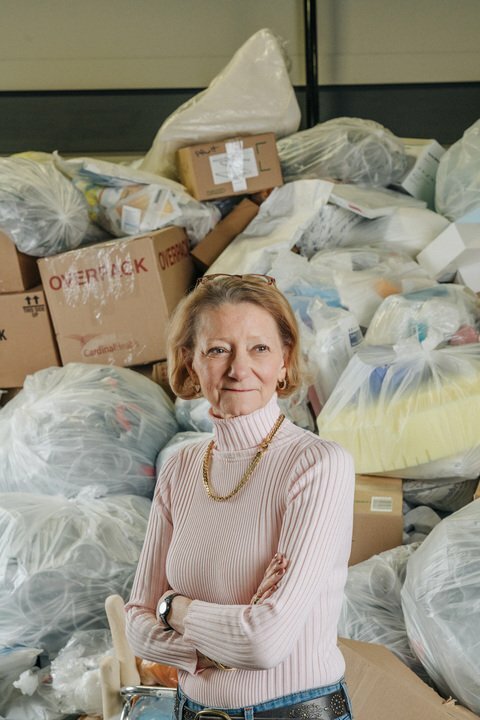 The hospitals are casting off useful supplies that would otherwise be sent to a landfill. But they are also donating items that are desperately needed in the developing world. “They are trying to be good stewards in our community and in their world,” she said. On the flip side, she can’t look past the waste. She said she could fill 15 shipping containers now if she had the $25,000 it cost to send each one overseas. Hospital officials either declined to comment or, sometimes sheepishly, said some of the waste was unavoidable. Elton Cole, the supply chain manager at Stephens Memorial Hospital in western Maine, said some items, such as a torn exam table, must be replaced to meet infection control guidelines. 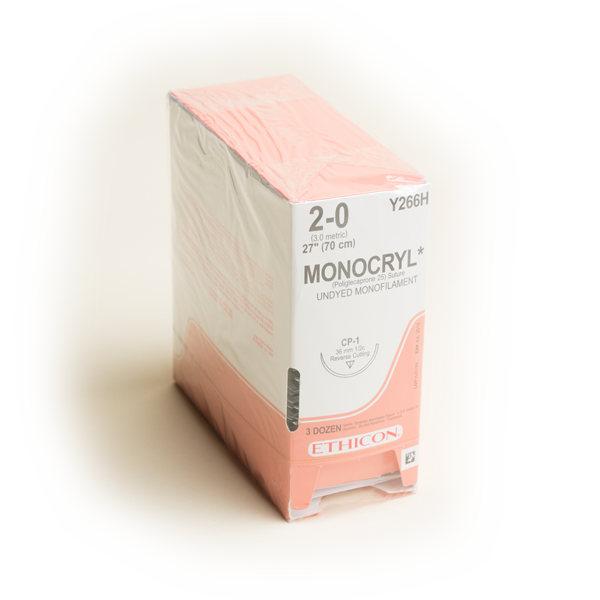 Same goes for those supplies left in patient rooms. At Stephens, he said, the supplies in the room, such as bandages or gloves, are typically included in the room charge and not billed directly to patients. Health care finance experts say while patients might not see the cost in their bills, the wasted supplies boost a hospital’s overhead, which in turn makes everyone’s costs higher. 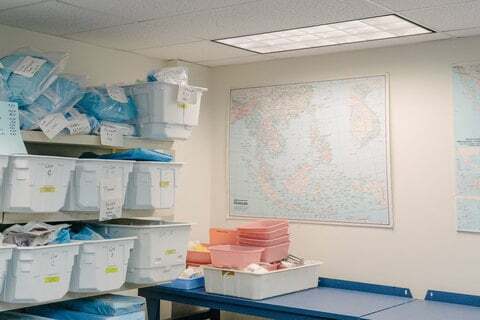 Patricia Fallows, who organizes the University of Vermont Medical Center donations to Partners, sent ProPublica a list of the typical shipment. 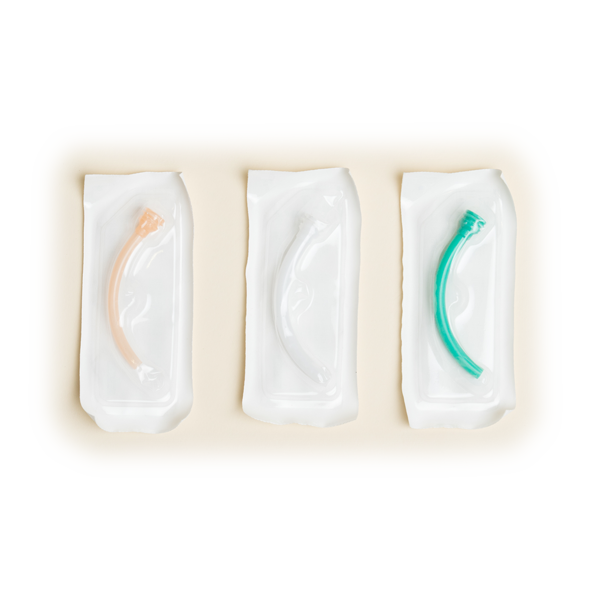 Among the 100 items are a Medline Skin Staple Remover ($100), a box of Carefusion Blood Sets ($100 for 10) and three cases of unexpired Ethicon sutures ($431 per box). 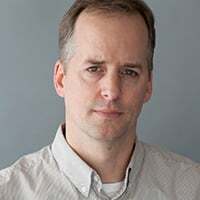 (ProPublica is using the list price of the products online, since the prices hospitals and other medical facilities pay vary widely depending on their individual deals with suppliers.) Officials at the medical center said the waste is a tiny percentage of their budget and some of it is unavoidable. We called the National Rural Health Association in Leawood, Kansas, to see if they could use anything on this list. Slabach said more than 600 rural hospitals are so strapped financially they risk closure and according to the data, some may be uncomfortably similar to facilities in Algeria and Bangladesh. Wealthier hospitals’ waste could help them stay afloat. Unfortunately, quantifying what’s being squandered is difficult. There is scant research, so it’s easy for hospitals to say it doesn’t add up to much. She decided to study waste after a medical mission trip to Mexico in 2015. 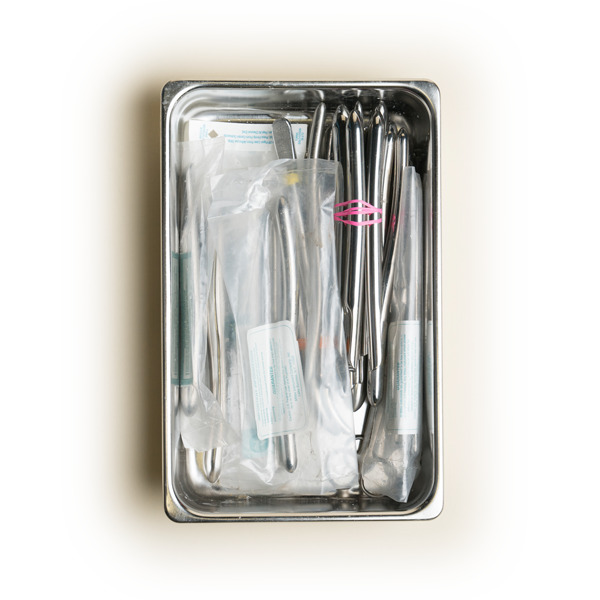 At UCSF it was common to set out an array of disposable surgical instruments in the sterile field of the operating room just in case a surgeon needed them. Often the surgeon wouldn’t even touch the instruments, but they, nevertheless, had to be discarded. In Mexico, they wouldn’t have been. Zygourakis and a team of colleagues tracked 58 neurosurgeries at UCSF and tallied the unused supplies that were discarded. In 26 surgeries, all the blood clotting materials weren’t used, for a total of $3,749. In 16, an expensive tissue adhesive wasn’t used at a cost of $3,495. Screws were wasted on three cases, totaling $3,144. The items marked as wasted were not billed to patients, and were donated whenever possible, she said. Partners for World Health ships America’s unwanted medical equipment and supplies to needy countries like Greece, Syria and Uganda. But the study’s findings, published in Journal of Neurosurgery in 2016, were eye-opening: The public hospital wasted an estimated $968 per neurosurgery case, which amounted to about $2.9 million over the course of a year. 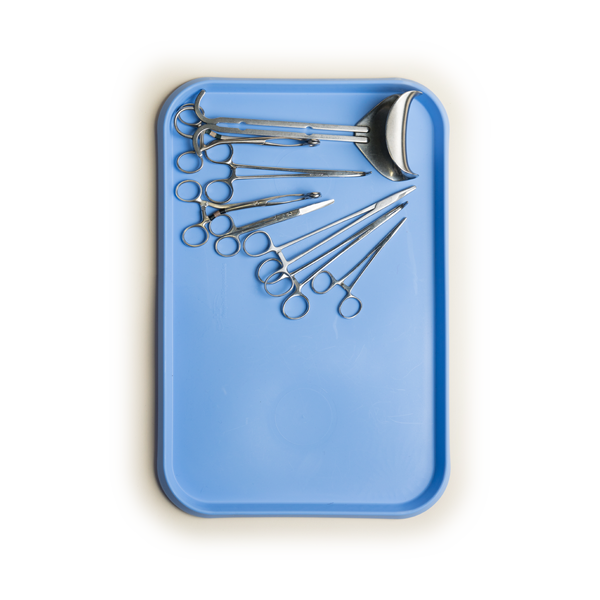 UCSF reviewed all the preference cards for each surgeon, which specify how the operating room should be set up before each operation. The hospital now makes sure the set-up doesn’t include supplies that aren’t actually needed, preventing a significant amount of the waste. In a separate study in the December edition of JAMA Surgery, Zygourakis and her colleagues showed each UCSF surgeon his or her direct costs per procedure in comparison to other surgeons in the institution. Most doctors were unaware of operating-room costs. Then they gave them an incentive: Their departments would get a bonus if they reduced costs by at least 5 percent. The median surgical supply costs dropped by 6.5 percent in the group of surgeons who participated — a savings of about $836,000 over one year — while the control group’s costs increased by almost 7.5 percent. Back in Maine, McLellan said she would love for the medical community to put her out of business by cutting the waste and passing the savings on to patients. She’s invited hospital CEOs to visit her warehouses, to see the vast display of wasted health care dollars. So far none have come. Marshall Allen is a ProPublica reporter covering health care and patient safety issues. Design and production by Jillian Kumagai and Rob Weychert.